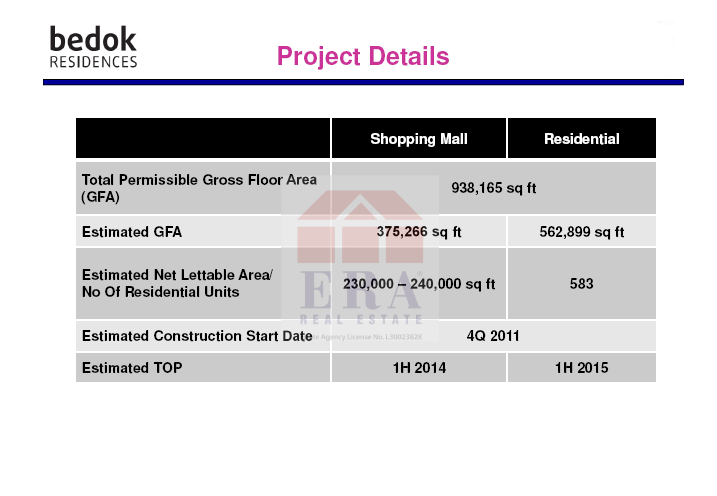 What makes Bedok Residences sell? Is it the price or location? All of the above. 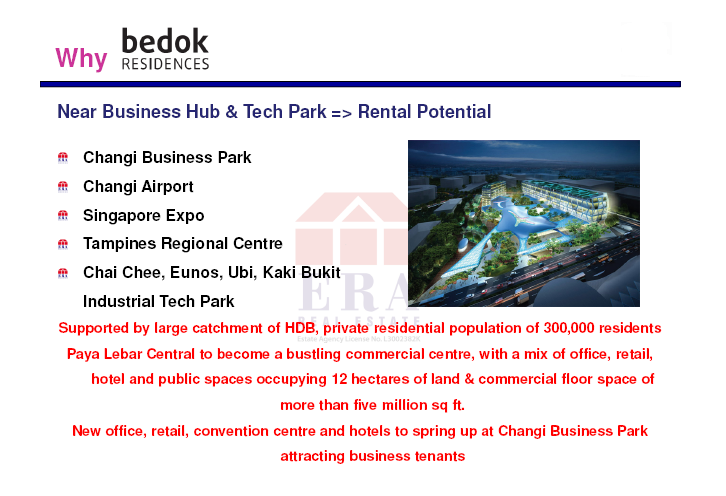 Bedok Residences is located near Changi Business Hub anticipated to he the Central Business District (CBD) of the East, where a host of new offices, retail, hotel and public spaces will spring up. 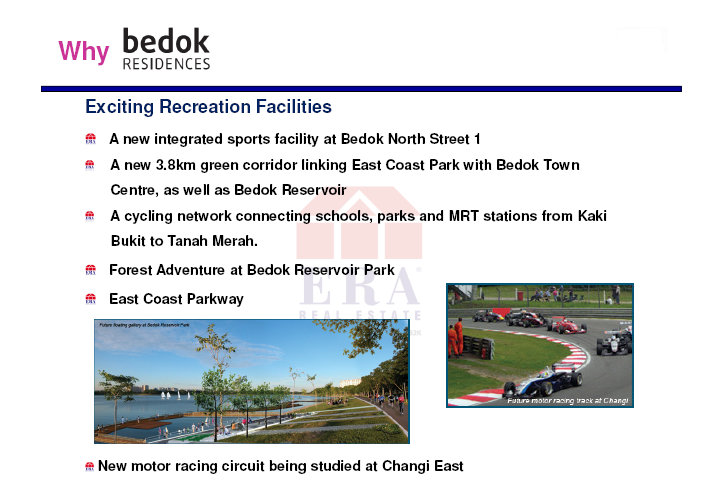 Bedok Residences proximity to industrial park in Chai Chee, Eunos, Ubi, and Kaki Bukit Industrial Tech Park assures owners and investors that the potential of leasing out their homes for rental income is not wanting. 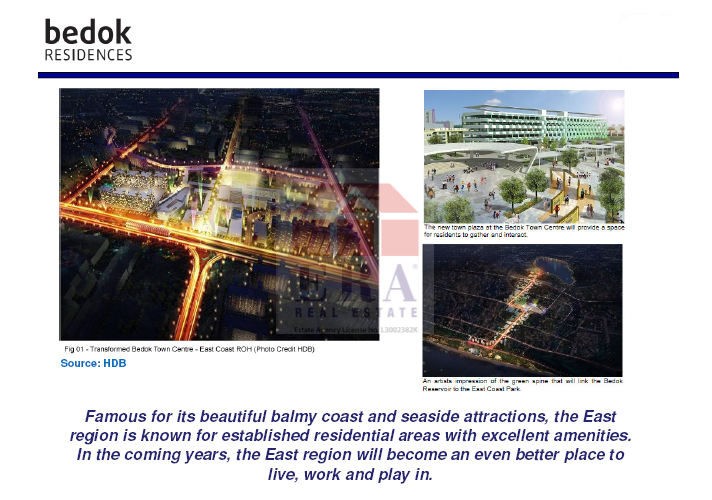 Paya Lebar is also set to be transformed to become a commercial centre, with a mix of office, retail, hotel and public spaces occupying 12 hectares of land and commercial floor space of more than 5 million sq. ft.
Live, Work and Play. 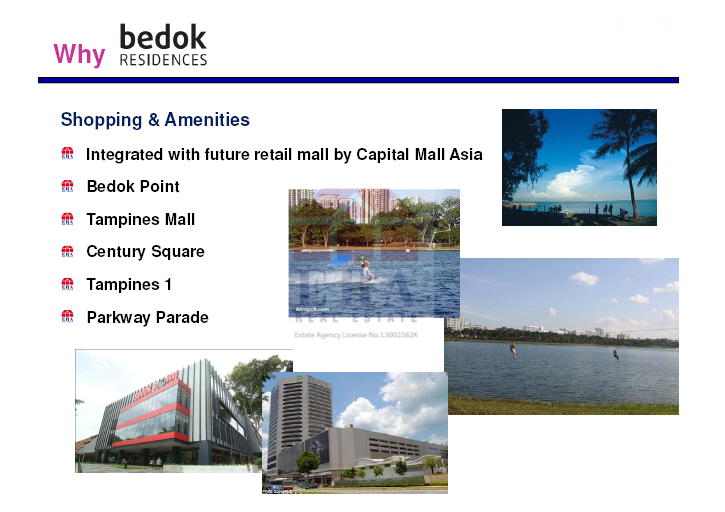 Bedok is all of the above embodied in one centralised location. East Coast Park, a park by the sea, where many Singaporeans go for recreation.